Hit the Gas and get ready for the ultimate bike stunt challenge! 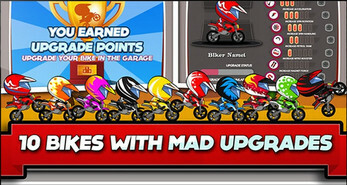 Can you customise all 10 super Moto X Bikes to the max? 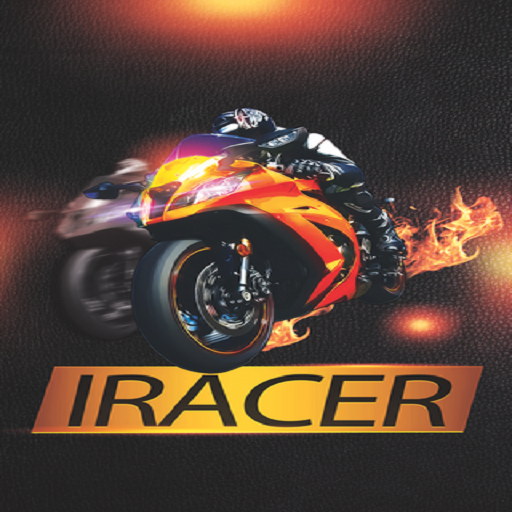 Grab your Bike and take it to the hills for the craziest manic ride of your life. 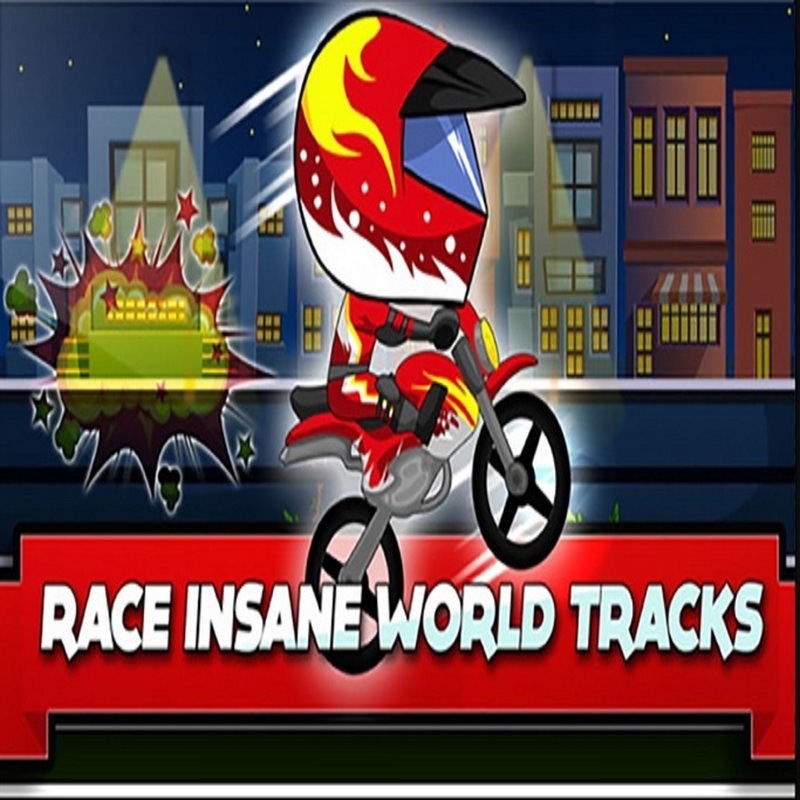 Show off those mad bike skills and curve the tracks straight to the top of the Leaderboards. 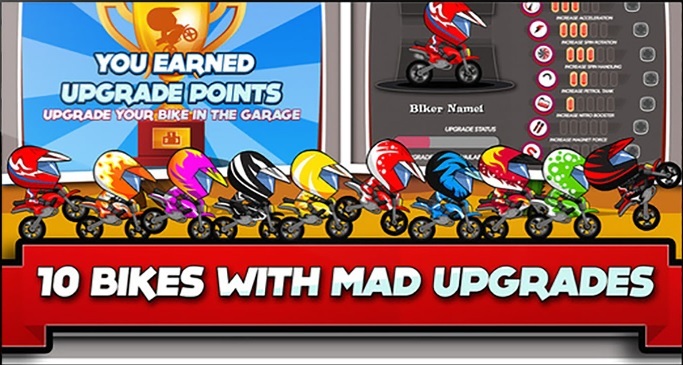 Perform insane front flips and backflips to earn upgrade points and customise your bikes with super awesome extras. Equip your super nitro boosters whilst en route through the Night City and grab some extra fuels, while racing along the Sunset Beach. You’ll need to ramp up those extra speed rev’s to make it through the arctic arena and the amazon forest too. 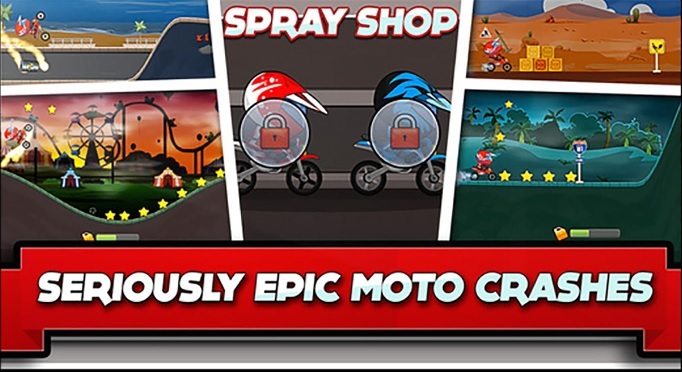 Don’t forget to make that all important pit stop and visit the Spray Shop for the coolest customised wheels and crisp new leathers, then It’s the time to burn out the pressure and launch that awesome bike straight into the next location. 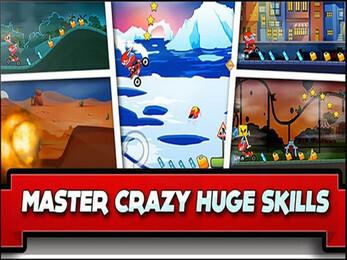 Avoid colliding with the traffic cones and the crates, swerve n dodge the sign posts and the explosive barrels along the way. It’s now over to you to master the most spectacular stunts, or crashes, with every rev of your engine! 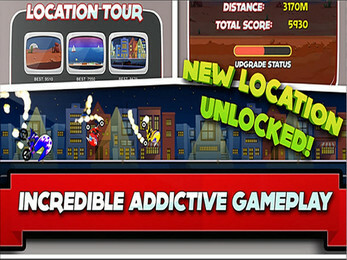 Are you mad enough to take on the extreme Auto Maniacs World Tour? Of course you are!